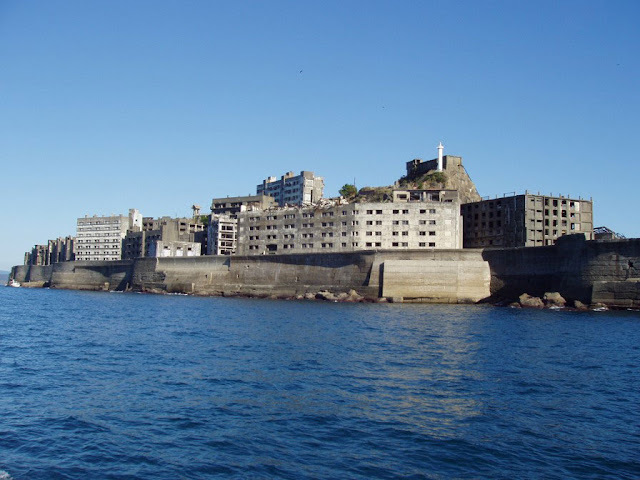 Hashima Island (?? 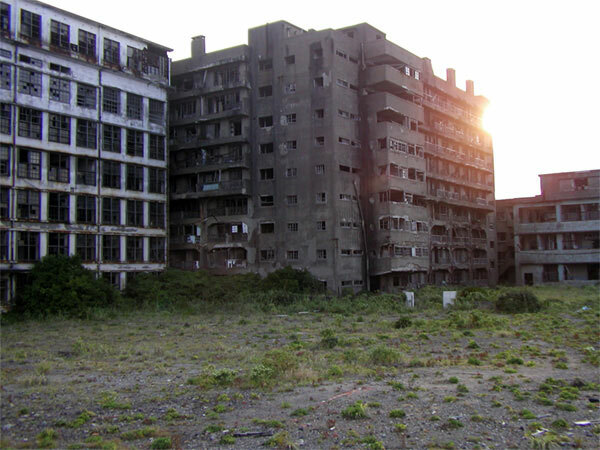 ; meaning "Border Island"), commonly called Gunkanjima (??? 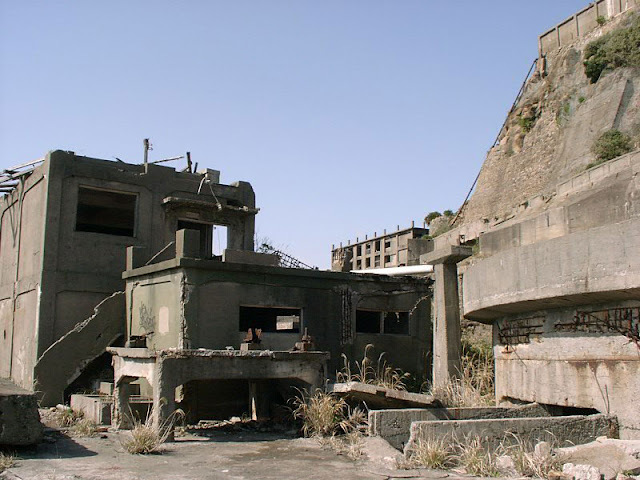 ; meaning "Battleship Island").The island was populated from 1887 to 1974 as a coal mining facility. 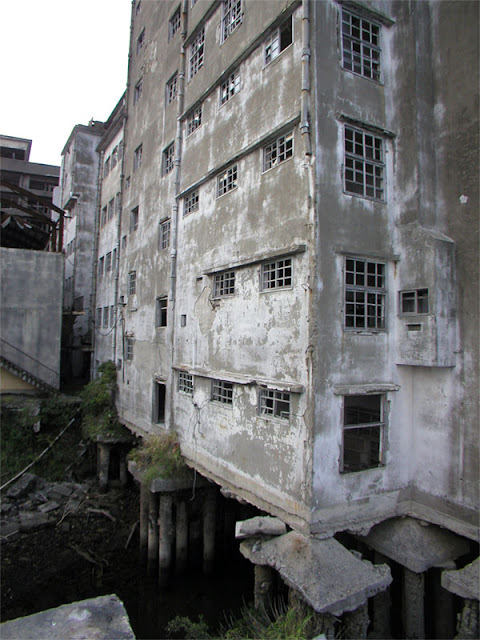 The island's most notable features are the abandoned concrete buildings and the sea wall surrounding it. 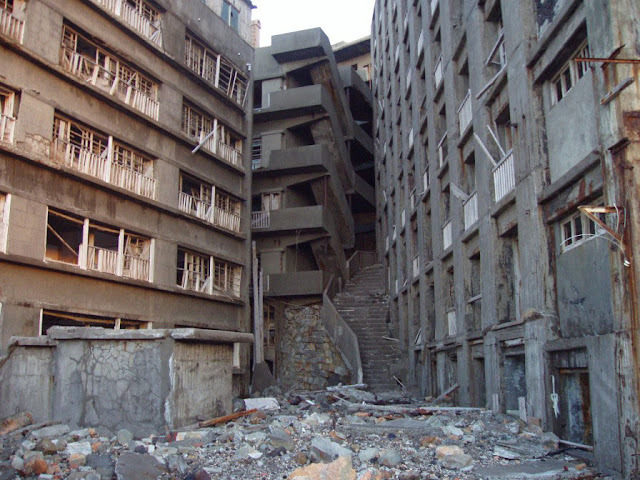 "Battleship Island" is an English translation of the Japanese nickname for Hashima Island, Gunkanjima. The island's nickname came from its apparent resemblance to a battleship, or gunkan (jima is a mutation of shima) due to its high sea-walls. 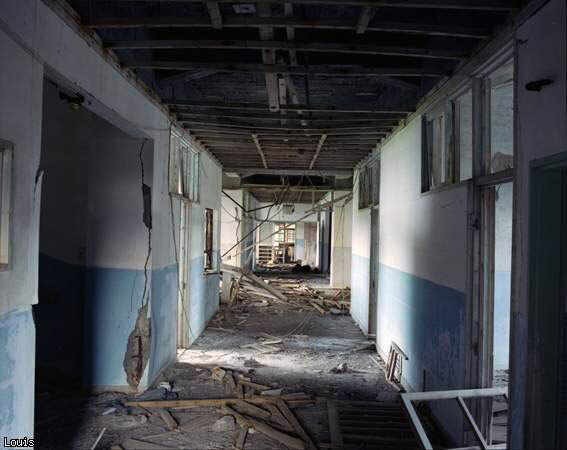 It also is known as the Ghost Island. 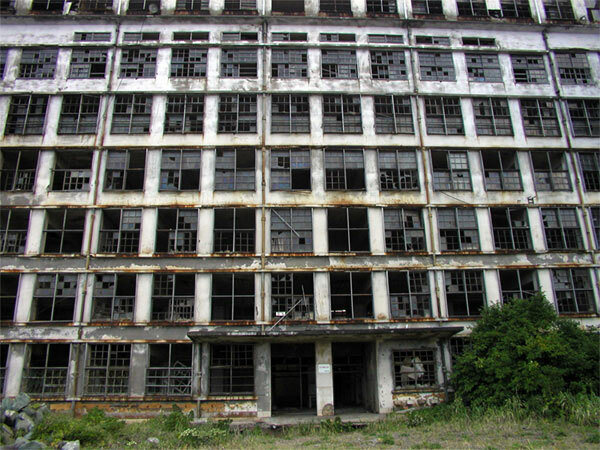 It is known for its coal mines and their operation during the industrialization of Japan. Mitsubishi bought the island in 1890 and began the project, the aim of which was retrieving coal from the bottom of the sea. 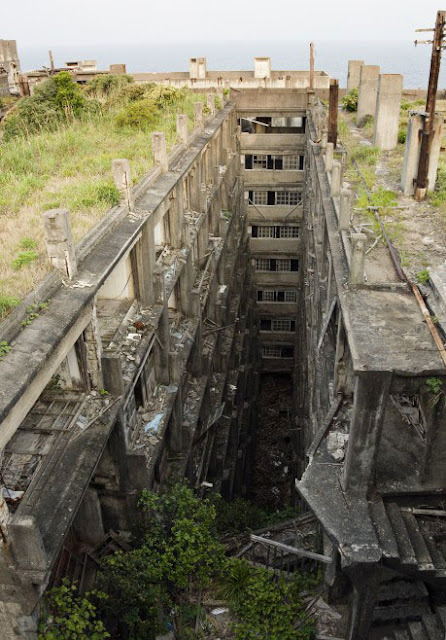 They built Japan's first large concrete building, a block of apartments in 1916 to accommodate their burgeoning ranks of workers, and to protect against typhoon destruction. 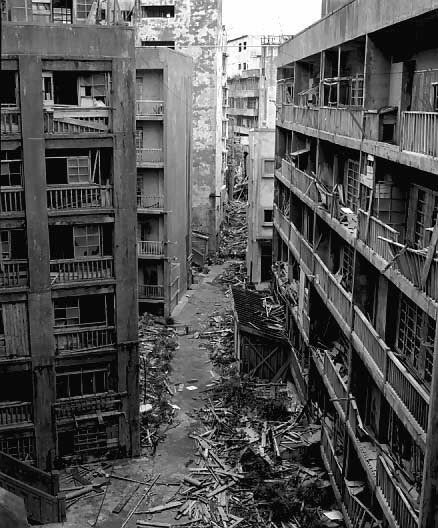 In 1959, its population density was 835 people per hectare (83,500 people/km^2) for the whole island, or 1,391 per hectare (139,100 people/km^2) for the residential district, the highest population density ever recorded worldwide. 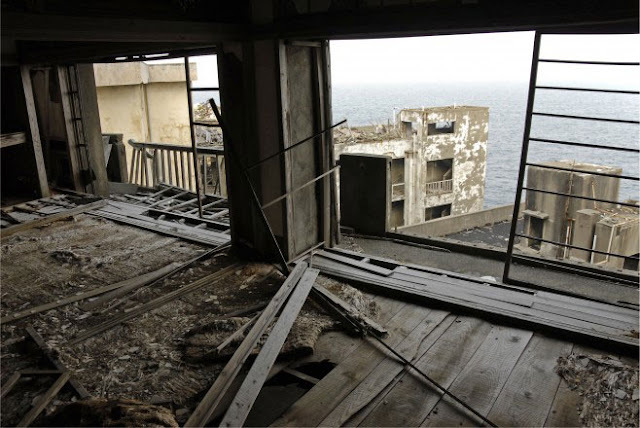 As petroleum replaced coal in Japan in the 1960s, coal mines began shutting down all over the country, and Hashima's mines were no exception. 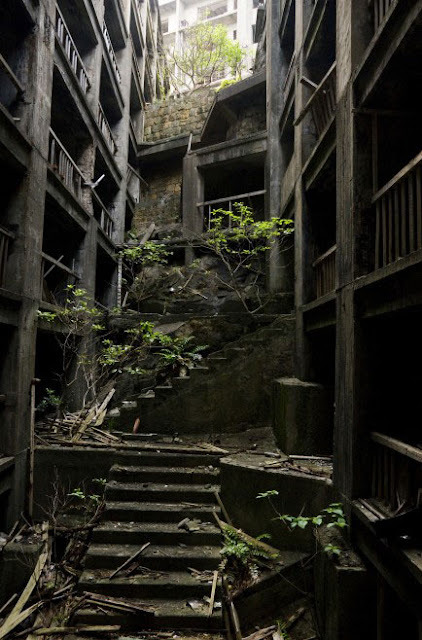 Mitsubishi officially announced the closing of the mine in 1974, and today it is empty and bare, which is why it's called the Ghost Island. 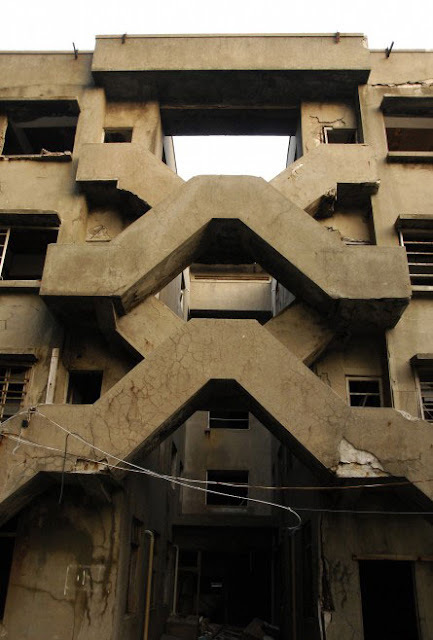 With all the seismic activity around Japan, I am surprised these structures haven't fallen down. Those building don't look that old, so they probably never experienced a really strong earthquake. 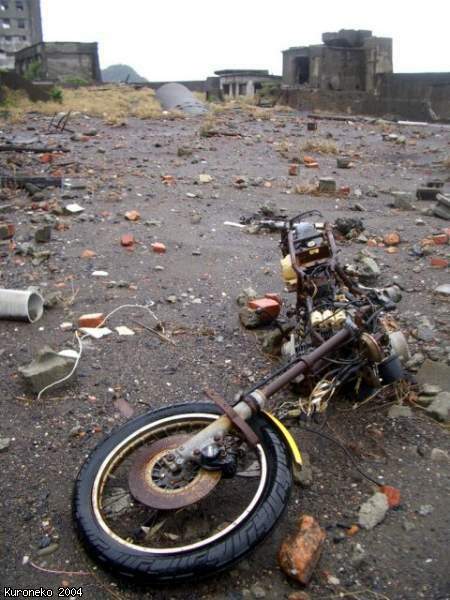 Besides, Japanese civil engineers are world experts in earthquake engineering. Does anyone know how easy it is to land on this place with/without the permission of local authorities?